Galaxy 16 is a C- and Ku-band satellite with 24 C-band and 24 Ku-band transponders. The spacecraft is a version of SS/L's space-proven SSL-1300 satellite platform, which has an excellent record of reliable operation. The geostationary SSL-1300 has a designed service life of 15 years and maintains station-keeping and orbital stability by using bipropellant propulsion and momentum-bias systems. A system of high efficiency solar arrays and lightweight batteries provides uninterrupted electrical power. 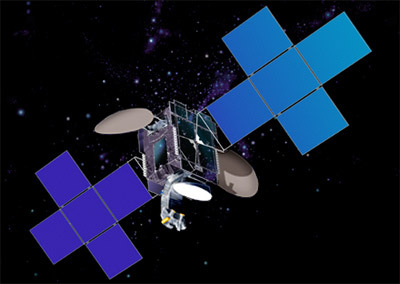 Space Systems/Loral (SS/L) announced in February 2005 that it has been selected by PanAmSat Corporation, Wilton, Conn., to build Galaxy 18, a new Fixed Satellite Service (FSS) satellite that will deliver 10 kilowatts of power over a 15-year lifetime. The satellite's hybrid communications payload will carry a total of 48 operating transponders, including 24 high-power Ku-band and 24 C-band transponders. The satellite is designed to operate from PanAmSat's 123 degrees West orbital location. When delivered in 2007, Galaxy 18 will become PanAmSat's newest satellite covering the contiguous United States, Alaska, Hawaii, and Puerto Rico, in addition to Canada and Mexico, and will be the fifth spacecraft built for PanAmSat by SS/L.